Sa'diyya is an internationally known multiple award winning professional belly dancer located near Dallas, TX! She offers unique belly dance performances for special events, ongoing dance classes and workshops worldwide! Watch Sa'diyya Dance on YouTube! Part 1 & Part 2 Now Available! New Progressive Bellydance Classes Start March 19 & 21, 2019! Check out my online classes, too! Invite Sa'diyya to Your Event! Now Booking! See what people are saying about Sa'diyya's workshops HERE. Stay in the loop with Sa'diyya! Connect with her by liking her "Sa'diyya Dance" Facebook page! Sponsor a Workshop with Sa'diyya! Now Booking! Belly dance classes are going on NOW! Click HERE for more info! Be sure to check out Sa'diyya's Blog! There are tons of topics to browse through including Beauty Tips for Belly Dancers, Instructional Clip of the Week, Inspiration of the Week and MORE! Watch a FREE belly dance class online! Sa'diyya and her troupe, "Danza della Luna" teach an entire choreography to the popular song, "Yearning" by Raul Ferrando. Parts 1, 2 and 3 are now posted and more sections are coming soon! -You can read all about my experience HERE. You can also browse through photo and video galleries by scrolling over the ABOUT tab above. 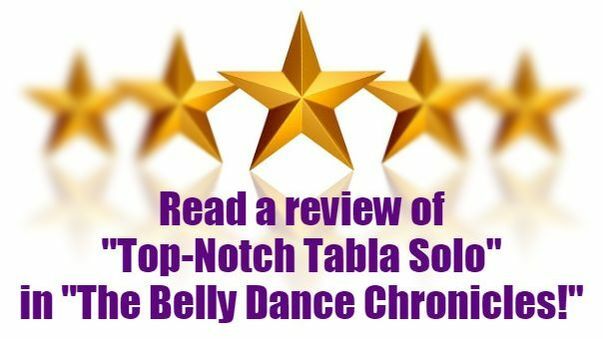 You will find information on my award-winning dance troupes, links I recommend and my online store featuring DVDs, music, gently used costumes and more for sale under the ABOUT tab. -I'm available for performances at select events like weddings, bridal showers, bachelorette parties, house warming parties, graduations, anniversaries, dance showcases, festivals and other special events. Click on the Hire a Bellydancer tab in the main menu for more information on how to start the booking process. -Looking for fresh talent for your event? I'm available to teach workshops for all levels of Bellydance students - regionally, nationally and internationally. Click on the Sponsor a Workshop tab in the main menu to learn about my experience and for more information on how to start the booking process. -If you're looking for weekly classes, click on the Learn to Bellydance tab above. I also offer local Bellydance Workshops that cater to all different levels of Bellydance students. Private and semi-private lessons are also available for students of all levels. -I perform regularly on the weekends in the DFW area. I also perform around Texas and at national events. I would love to see you in the audience! Be sure to say "Hi!" See a full calendar of events HERE.